The National Union of Ghana Students (NUGS) is calling on government to as a matter of urgency release funds into the Students’ Loan Trust Fund for onward disbursement to student who genuinely are in need of it for the 2018/19 academic year. Government earlier this year gave the assurance in the education budget that there will be a 50 percent increase in the loan amount starting from the 2018/2019 academic year. The Gombila led NUGS are therefore protesting the almost 3-months long delay in the disbursement of funds to the beneficiaries of the Student Loan, which has left many tertiary students stranded. In an exclusive interview with choicism.com, the General Secretary of the Union, Mr. Gideon Abotsi noted that several attempts to get the Education Minister to resolve this issue has proved abortive. They are therefore calling on government to give audience on this matter in the coming days or they advise themselves accordingly. Meanwhile choicism.com investigations have uncovered that there is another faction that is contesting the eligibility of this group led by Mohammed S. Gombila. That faction, we are learnt, also held its vetting for various positions of NUGS last Saturday, November 10, 2018 and have scheduled a date for its elections. 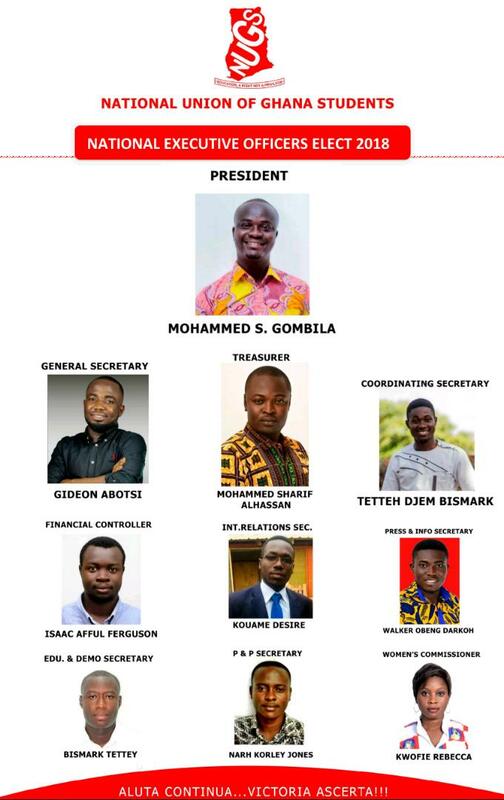 These power struggles forced the University of Ghana (UG) SRC to announce its decision to “recede from all activities of NUGS” which was published by choicism.com on November 12, 2018 . According to UG SRC, the unanimous decision to “recede from all activities of NUGS” was reached at the Assembly’s 3rd sitting held at the SRC Union Building on Friday, 9th November, 2018. It will be recalled that in 2017, two factions emerged resulting in the Union having two Presidents who all claimed to be legitimate.